Greybrook Realty Partners Inc. is pleased to announce the sale of 215 Lake Shore Boulevard East, one of its prime real estate development assets, for CAD $166,050,000 to Greenland Group (Canada). Greenland Group is a Chinese state-owned real estate developer with over USD $58 billion in assets and developments in major markets around the world. The waterfront property was acquired in mid-2014 for a total purchase price of CAD $60 million by Greybrook Waterfront Limited Partnership, Castlepoint Development Group and Cityzen Development Group. The transaction closed on October 13, 2016 and represents one of the largest sales, measured in total dollars, of a residential condominium development site in Toronto’s history. Upon the closing of the transaction, Greybrook investors realized a net annualized return of 38.8% and a total return on investment of 87.4% in just over two years. The Toronto waterfront has seen considerable change over the past two decades due to major investments made by both the public and private sectors. 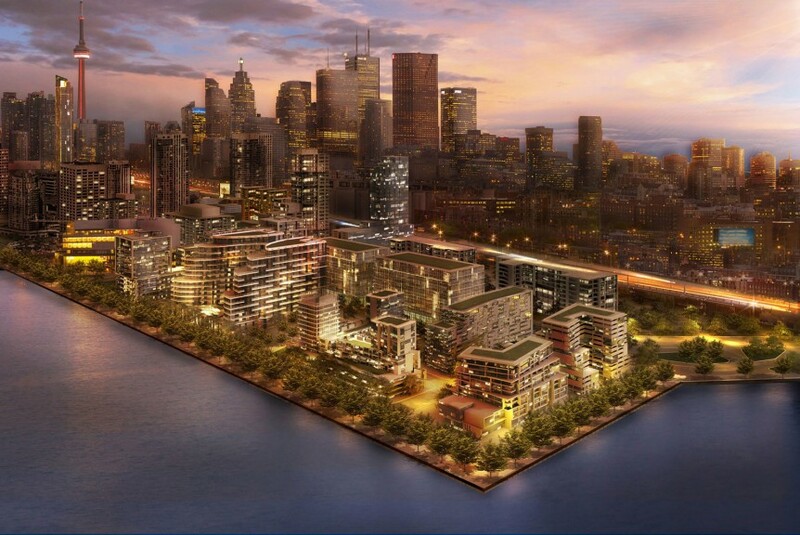 The revitalization of Toronto’s waterfront led by Waterfront Toronto is the largest urban redevelopment project currently underway in North America, and is expected to create approximately 40,000 new residential units and 40,000 new jobs by the time the project is complete. The original development plan for the Site called for the construction of a one-of-a-kind iconic structure that would have brought to market over 2,000 residential units with unobstructed lakefront views and panoramic views of the city skyline just minutes away from Toronto’s downtown core. “This is an attractive property for a major global developer like Greenland Group who was seeking a development opportunity of a specific size and scale to build a landmark project in Toronto. We look forward to seeing this property come to life over the coming years in this vibrant waterfront community, and we’re confident it will be a financial success for the new owners,” said Mr. Politis.